In the supply chain industry, companies are forced to make difficult decisions every day. We recently discussed one example that keeps supply chain leaders up at night: whether a warehouse management system (WMS) or labor management system (LMS) should be implemented first. Another question that supply chain executives are forced to contemplate is whether they should go with a best-of-breed WMS or an enterprise resource planning (ERP) WMS. Up until very recently, choosing a best-of-breed warehouse management system (WMS) over an enterprise resource planning (ERP) WMS was a ‘no-brainer’ for many companies – especially those with multiple sales channels and complex architecture. However, the functionality of ERP WMS systems has continued to evolve, leaving companies with a tough choice – which WMS is best for our company and our needs? 1. Will the WMS meet my key operational requirements to run my business? 2. Can the system handle my current throughput and future growth? 3. Is the WMS adaptable as my business changes? These three questions will help guide you to considering the top applications that can address your pain points. Asking the right questions upfront and trusting your evaluation process will save a lot of headaches down the road. With a competitive labor market, we are seeing an increase in levels of automation. 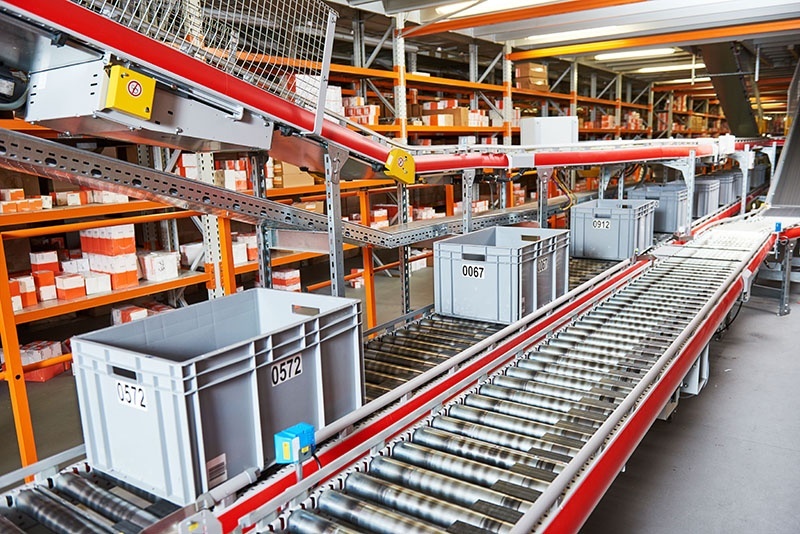 When implementing high levels of automation, companies are finding more functionality in the warehouse control system to support their automation. This leaves them less dependent on best-of-breed WMS and opens the door for an ERP WMS solution, integrated with their warehouse control system. However, if discrete engineered labor standards in a proven labor management system are a requirement, you may want to consider a best-of-breed WMS application. There are a few considerations within the technology criteria that should be mentioned, including integrations, network stacks, and cloud vs. on premise vs. SaaS. Integration Considerations: The best-of-breed systems have interfaces to integrate with the host ERP. Companies can remove the integration concerns by going with an ERP WMS. Same Network Stack: Another consideration is supporting multiple network stacks. Is the network stack the same as the ERP? If not, will this increase cost or add risk? Cloud vs. On premise vs. SaaS: From an IT strategy perspective, many companies prefer on-premise solutions, while others are going to the cloud or a hosted solution. Multi-tenant SaaS solutions provide a lower price point but are often rigid. Both SaaS and cloud have a quicker time to value in the short-term but prove more costly in the long-term. Many of the best of breed WMS software providers have complimentary software solutions for complete fulfillment execution that span several channels including retail, wholesale, e-commerce and marketplaces like Jet and/or Amazon. To solve the fulfillment challenges specific to omni-channel, companies are choosing best of breed supply chain execution software vendors with point of sale, order management, labor management, warehouse management and transportation. ERP vendors have been slowly replicating best of breed functionality over time. However, companies often find that the value they receive in a best of breed WMS and its complimentary products far outweigh integration and increased license cost. Don't mistake lower integration costs to mean lower cost of the total implementation. While ERP WMS systems are fully integrated with the ERP suite, the lack of autonomy between the two systems can cause unforeseen enhancements to obtain comparable functionality. The differences between ERP and best of breed options along with cloud vs. SaaS options add a level of complexity to the model than in previous years. The WMS you select must ultimately align with your short and long-term performance goals while providing a competitive advantage. This is a decision for the long term, so it should be treated as such! One final word of advice. Don't be focused only on chasing ROI when selecting a WMS. Invest in the WMS that creates a competitive advantage for your supply chain by enabling impactful service and cost benefits. There are many considerations to evaluate when choosing supply chain execution software to add value to your supply chain. We hope this brief overview has helped you think through some of the pros and cons of best of breed WMS vs. ERP WMS. Do you need help with a WMS assessment? Visit our WMS services page to learn more or contact us to start a conversation.